I just read Chiara Badano’s story for the first time. I was struck by her if you want it Jesus, so do I and her beautiful response to pain. Can you imagine praying for eleven years for a child? And then when you have finally gotten used to your great joy at having her, she has cancer and dies at eighteen? 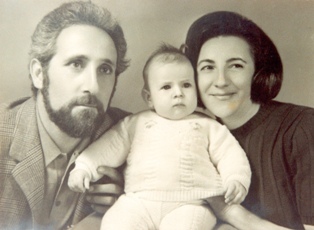 My Italian isn’t good enough to follow this, but Chiara’s mother, Maria Teresa Caviglia, is quoted elsewhere as saying: even though we were so immensely happy, we understood straightaway that this child wasn’t ours alone. She belonged to God first of all. I want to want my future children to be Saints more than I want them to be happy, healthy, and alive with me. I do not think that nine years will be enough for me to naturally get to that point. And that is why I am so fascinated with Chiara’s story. It is full of the evidence of God’s grace, not only in her life, but also in her parents. For now I will stick to praying for a bit more grace in my own life, and try to resist the urge to joke with my husband about not allowing our children to join Focolare. Apparently they have a tendency to die young and holy. And somehow I have to learn to entirely find that desirable. hearing these stories of women who get pregnant after 8, 10, 11 years is the most intimidating thing ever. i wonder if i can be that strong. and i doubt myself. one day at a time i guess. to hear about her losing her daughter after all that? i still think “tis better to have loved and lost.” at least you have those great memories and with a daughter like her, assurance of her spot in heaven. thanks for this, I hadn’t heard of her. Beautiful Story of Holiness, Faith, Courage, and Love. She was wise beyond her years, and trusted in God with childlike innocence. Very inspiring, her life story should be read to our youth today in our Catholic Schools.